“I wish my parents had talked to be about money.” If this resonates with you you are not alone. Millions of families have a difficult time embracing financial conversations so crucial to the ongoing health of family income and capital. This is especially true in times of transition: changes in health, career or retirement. Stories and pictures are an important part of any conversation and bring family values into focus. Financial Fotographs will help you tell financial stories, learn from lessons of the past and paint a brighter picture of the future from a financial planning perspective. It will help you share conversations you wish your parents had with you about money. It will empower your family to have a healthy attitude about the financial aspects of life and provide new insights, knowledge, skills. Everyone in the family can benefit from experience, and find out how to make more responsible decisions about money. Appreciate the experience and wisdom of others, especially parents and grandparents. Broach taboo financial subjects – like wills and powers of attorney – that are painful for some. Get the inside story: how to use a financial plan that is unique to your situation. Understand how to make sound financial choices that follow your plan. Discover how to control wants and manage needs to protect your desired lifestyle. Understand how to control debt, so you can use it to achieve financial goals in life. Kevin Gebert is able to break down complex financial concepts in a clear, no-nonsense voice. Reading his book is like having a conversation with a particularly helpful friend who doesn’t ever need to prove how smart he actually is. 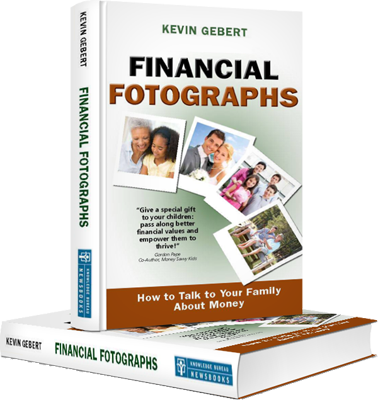 Financial Fotographs is a comprehensive guide for your family and will help you to explore financial conversations in a much more meaningful way. Give a special gift to your children: pass along better financial values and empower them to thrive! Comprehensive, but easy to absorb, I think it is a very useful and effective guide for families and individuals. 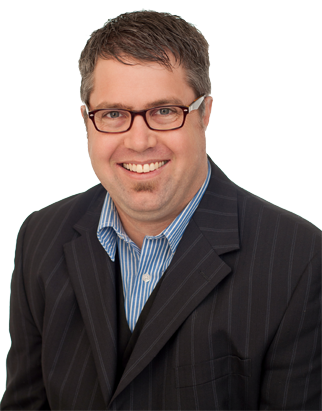 Kevin L. Gebert has been helping Canadians create and meet their goals with simple solutions through financial planning since 1996. Whether developing or updating a financial plan, debt reduction strategies, retirement planning, marriage breakdown, or estate planning, Kevin is an MFA - a Master Financial Advisor who collaborates with experienced professionals in supporting fields to create a unique financial plan for Canadians.